Dr. Carol Motycka graduated from the University of Florida with her Pharm.D. and completed a residency in Ambulatory Care at Florida Hospital in Orlando. After practicing at Florida Hospital for several years, Motycka joined the University of Florida to help build the College of Pharmacy program in Jacksonville. She is board certified in Ambulatory Care has completed fellowships in both leadership and education. Motycka has been published in multiple academic and clinical journals and has provided over 100 presentations in the field. She has received awards on the state and national level for her teaching, research, and leadership. 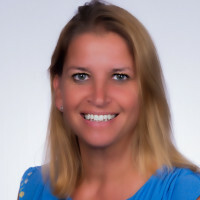 Motycka is a strong advocate of the profession of pharmacy and serves the profession through public relations events in her community and professional organizations where she has served in multiple capacities including Speaker of the House for the Florida Pharmacy Association and President of Duval County Pharmacy Association. As assistant dean of the University of Florida College of Pharmacy Jacksonville Campus, Motycka spends her time teaching, completing research, advising and administrating. A review of abuse-deterrent opioids for chronic nonmalignant pain. Treatment options for obesity and potential therapies on the horizon. Self-assessment in pharmacy and health science education and professional practice. A review of cardiovascular risks associated with medications used to treat type-2 diabetes mellitus. Type 2 diabetes in children: a growing epidemic.